Excellent hotel. Lovely & very helpful front desk, spa, & restaurant staff. Very convenient location . Beautiful big private ground level villas with private pool. Gr8 beachfront lounges and 49m pool. Everything was amazing. We stayed at the one bedroom pool villa. It was awesome! Huge and very comfortable. Nice garden and big pool. Jacuzzi outdoors. The biggest bathroom I have ever seen, with two showers (indoor and outdoor), jacuzzi, powder room... You get everything you might need. And the staff was very friendly and ready to help with any request we had. Minibar was included and they welcome you with a complimentary bottle of champaign. The breakfast was included. And you can have breakfast at any time! So no need to wake up “early” if you had a long night. The location is unbeatable, beachfront with direct access to the beach. We will repeat, no doubt about that! the staff are soo friendly and helpful, the location is good near a lot of restaurants and shops. The personnes serving the breakfast are amazing!!! the view is wonderfull!!! the villas are very very nice; globally, the personnel working smile, are affective and make the time in the hotel a dream! The special attention the staff gave us made us feel extremely special. Lock in a great price for The Samaya Seminyak Bali – rated 9.5 by recent guests! The Samaya Seminyak Bali This rating is a reflection of how the property compares to the industry standard when it comes to price, facilities and services available. It's based on a self-evaluation by the property. Use this rating to help choose your stay! 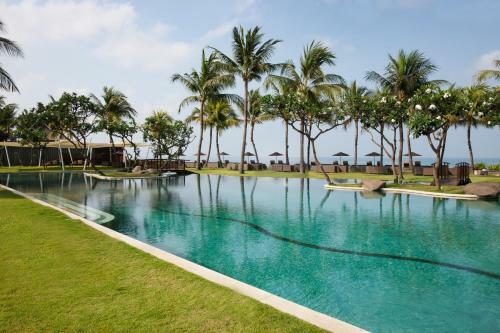 The Samaya Bali is 8.7 mi from Ngurah Rai International Airport, 5-minute walk from Ku De Ta and a 10-minute walk from Seminyak Square shopping center. 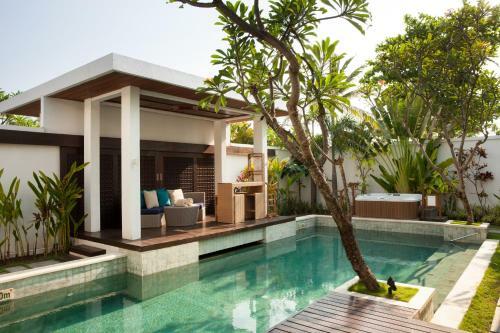 Featuring warm sandy décor, villas are nestled within tropical gardens. 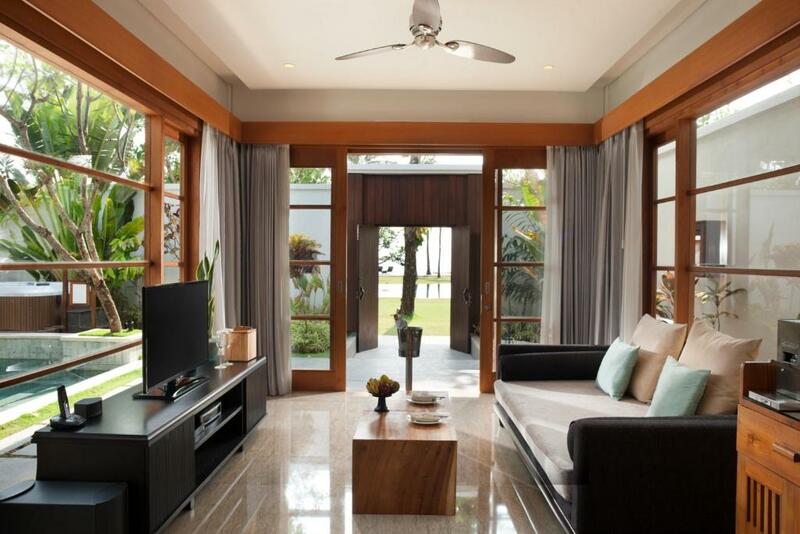 Each villa features a 42-inch flat-screen TV, Bose iPod docking station and DVD player. Some of the villas are set on the beach side of the property, while others are in a courtyard setting with tropical garden. Certain villas are located only few minutes away by golf buggy from the main resort across the street. For a quiet evening indoors, guests can make use of the free WiFi or enjoy relaxing massages and body treatments at the spa. There is also a fitness center and a sauna. 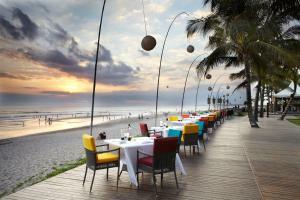 When would you like to stay at The Samaya Seminyak Bali? Boasting a large, private patio in a secluded courtyard, this villa features an iPod dock, flat-screen cable TV with DVD player, coffee/tea maker and a mini-bar. Private bathroom is equipped with a hairdryer, free toiletries and a separate shower. Featuring a large private patio in a secluded courtyard, this more spacious villa is located across the street from the main resort. It features an iPod dock, flat-screen cable TV with DVD player, coffee/tea maker and a mini-bar. The private bathroom is equipped with a hairdryer, free toiletries and a separate shower. 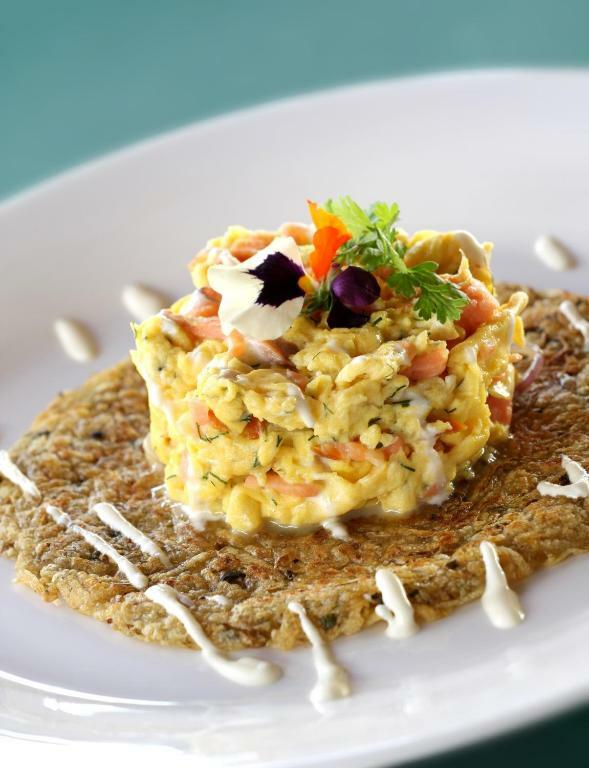 - A 4-course dinner at the Breeze Restaurant. 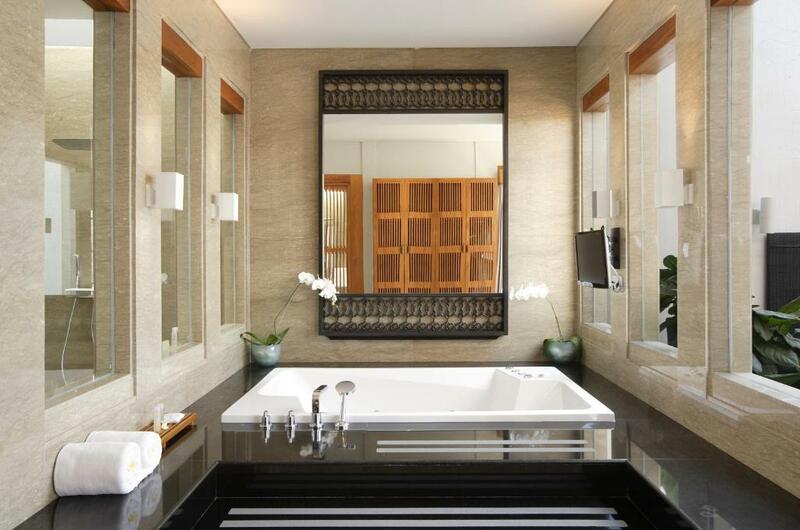 This villa features a spa bath, hot tub and bathrobe. Boasting a private pool, this villa features a flat-screen cable TV with DVD player, coffee/tea maker and a mini-bar. 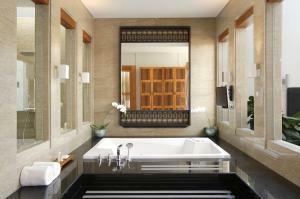 The private bathroom is equipped with a hairdryer, free toiletries and a separate shower. Free return airport transfer for min 3 nights stay valid for new booking and guest staying until 30 June 2019. Boasting a private pool, this 2-bedroom villa features a flat-screen cable TV with DVD player, coffee/tea maker and a mini-bar. The private bathroom is equipped with a hairdryer, free toiletries and a separate shower. Boasting a private pool, this 3-bedroom villa features a flat-screen cable TV with DVD player, coffee/tea maker and a mini-bar. The private bathroom is equipped with a hairdryer, free toiletries and a separate shower. I'm a self-motivated with 13 years experiences in hospitality, Specializing in E-Commerce and keen interest in Digital Marketing. House Rules The Samaya Seminyak Bali takes special requests – add in the next step! One older child or adult is charged IDR 1000000 per person per night in an extra bed. The Samaya Seminyak Bali accepts these cards and reserves the right to temporarily hold an amount prior to arrival. Please note that the credit card used to make the booking must be presented upon arrival, otherwise full payment must be settled upon check in with an alternative method and any prepayment will be refunded to the credit card used for booking. Nothing to complain about. It was a fantastic place to stay. I would definitely go there again without any hesitation. I really can't think of anything that was missing here. The location was awesome. Markets just a stone'e throw distance. Amazing restaurant. Great stay - very comforting villa with attached pool. Amazing hosts. The pillows were a little uncomfortable. And the bed linen almost felt a bit sweaty? Not like cotton type. Everything was great. I have a suggestion though... the ironing board should be hidden somewhere, it’s not so nice seeing it in the middle of the bathroom. This hotel is a wonderful home far from home; the new director Grart and his wonderful team are really making the atmosphere like family. the food service is perfect. Maybe the gym room, too much equipment, too crowed, a bit hard to do pilates. Everything! From the staff, room, services, to the food. We were very much enjoy the resorts. We will come back again and stay at The Samaya. Nothing, it was all wonderful! The staff were so friendly and could not do enough for you. The standard of the villas and the resort was top quality, really comfortable and clean. Breakfast was delicious, plenty of it and the view by the sea made it magical! I can't put into words just how wonderful our stay was...you need to try it for yourselves!